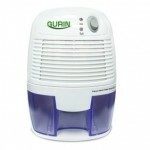 The Gurin Electric Compact Dehumidifier uses Peltier Technology (no compressor) which makes it light and quiet. 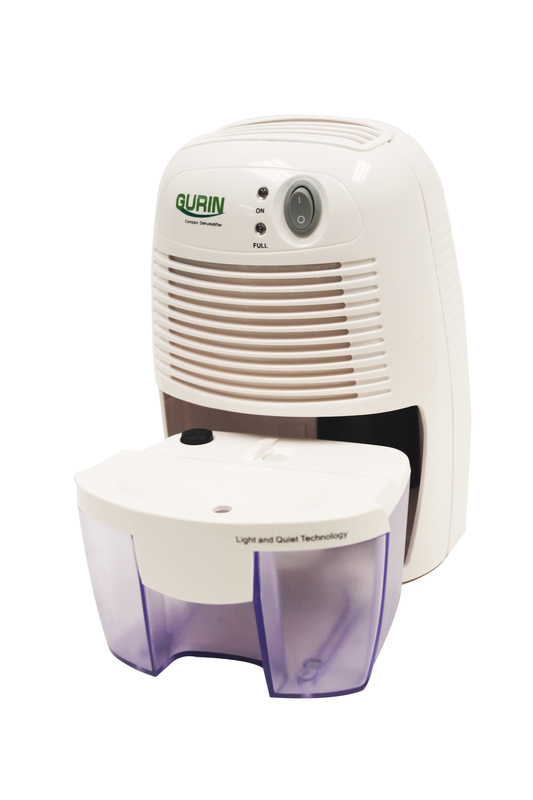 It is perfect for bathrooms, and small to mid-sized rooms where dampness and humidity are a problem. This unit is small enough to easily fit on your desk or workbench. It extracts the moisture from the air and stores it in a spill-proof reservoir. Just plug it in and it quietly dries the air. Features an automatic shut off switch to shut the unit off when the water reservoir is full. When this occurs a”full” indicator light will alert you when the reservoir needs to be emptied. Holds up to 16 oz. CE and UL Approved.